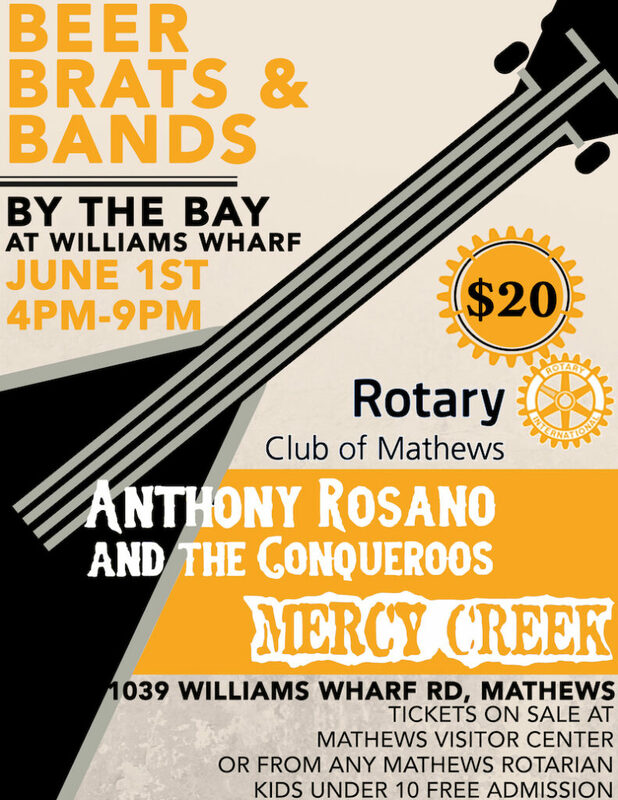 Don’t miss this year’s Beer, Brats and Bands By the Bay at William’s Wharf in Mathews! This event is a bargain, tickets are only $20 and include a drink, brat, and GREAT music by Anthony Rosano and the Conqueroos and Mercy Creek Bands. Additional drinks available for purchase. Don’t miss this event, there will be plenty of hootin’ and hollerin’ by the bay! Tickets on sale at the Mathews Visitor Center at 239 Main Street, Mathews or from any Mathews Rotarian.